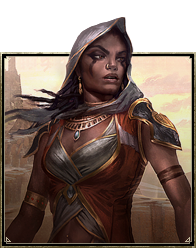 The racial skills of the Redguards reflect their ancestral legacy as swordmasters, giving them bonuses to shields, stamina, stamina regeneration, stamina regeneration during combat, and duration of effects from food. Wayfarer 1 ​ Increases your experience gain with the One Hand and Shield skill line by 15%. Increases the duration of any eaten food by 15 minutes. Martial Training 5 Reduces the cost of your weapon abilities by 2%. Reduces the effectiveness of snares applied to you by 5%. 15 Reduces the cost of your weapon abilities by 4%. Reduces the effectiveness of snares applied to you by 10%. 30 Reduces the cost of your weapon abilities by 8%. Reduces the effectiveness of snares applied to you by 15%. Conditioning 10 Increases your Max Stamina by 600. 20 Increases your Max Stamina by 1200. 40 Increases your Max Stamina by 2000. Adrenaline Rush 25 When you deal direct damage, you restore 300 Stamina. This effect can occur once every 5 seconds. 35 When you deal direct damage, you restore 600 Stamina. This effect can occur once every 5 seconds. 50 When you deal direct damage, you restore 950 Stamina. This effect can occur once every 5 seconds.